Over on wargamesbuildings.co.uk, check out the "Pulp Alley After Action Reports" here. 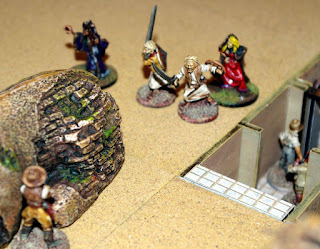 Also, on lonewarriorswa.com, there's a site called "Lone Warrior" which is the official blog and home of the journal of the Solo Wargamers Association. Learn more here. Finally, on aresgames.eu, there are only a few hours left to "Pre-order the Anniversary Release of War of the Ring Second Edition" here. If you get to this blog too late, you have my apologies.